Student yearbooks from Davidson College are now accessible through DigitalNC. Students, friends, and alumni can easily browse over 100 volumes of “Quips and Cranks” going as far back as 1895. Astronaut Ronald McNair, who died 25 years ago today in the space shuttle Challenger explosion, was a graduate of North Carolina Agricultural and Technical State University. 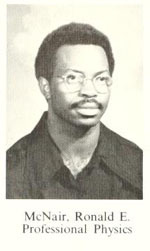 McNair was a member of the class of 1971, and appears a couple of times in the 1971 edition of the The Ayantee, the student yearbook. 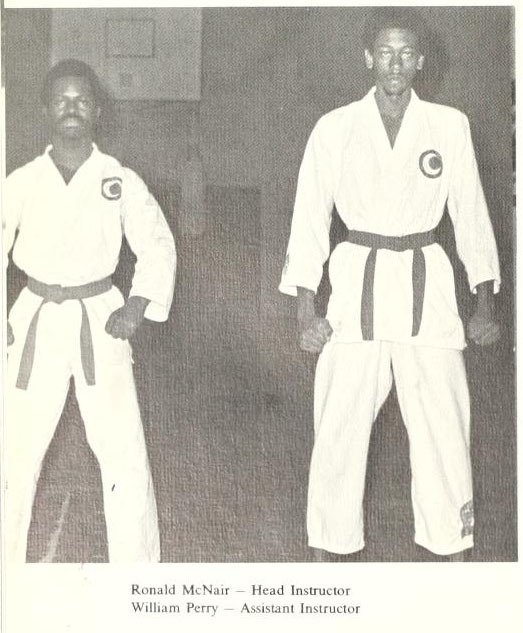 His senior photo is at left, and a photo from the school karate club is below. Many of the stories marking the 25th anniversary of the Challenger explosion mention McNair, who was only the second African American to enter space. The piece that ran this morning on NPR has an especially good story about an early act of courage at a public library in South Carolina. 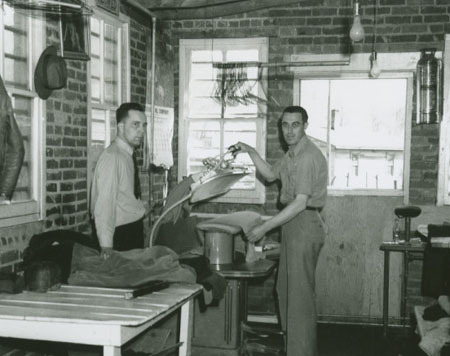 Among the many great photos from the Ashe County Public Library that are now available on DigitalNC are some interesting images showing people at work. 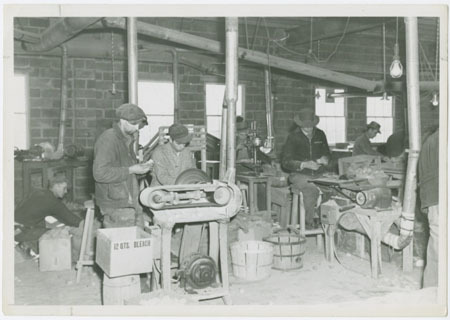 Here are three nice interior shots showing, from top to bottom, workers making pipes, doing laundry, and making some of the renowned Ashe County cheese. Student yearbooks from the University of North Carolina at Charlotte are now available on DigitalNC. The online volumes include UNC-Charlotte yearbooks from 1966-1985, as well as yearbooks from Charlotte College from 1950-1965. The original volumes are held by the J. Murrey Atkins Library Special Collections at UNC-Charlotte. This image, from the 1966 edition of The Nugget, shows UNC-Charlotte looking very different from today’s bustling campus. 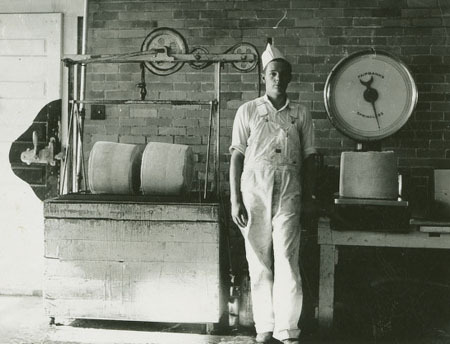 Over 200 historic photos from the Transylvania County Library are now available on DigitalNC. These images are from the Transylvania County Library, primarily from the collection of local photographer William Austin. 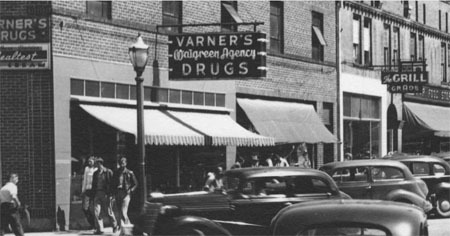 The image shown here depicts South Broad and Jordan Streets in 1940. In addition to street scenes and aerial views, the photos include images of local businesses, photos of the Transylvania County courthouse, scenes from gatherings and parades, and, from 1884, the oldest known photo of Brevard. More historic photographs of Masonic Picnics have been added to the Digital Davie exhibit on DigitalNC. The first annual Masonic Picnic was held in 1884, and over the years the picnic has raised funds to support educational opportunities for local students, Davie Training School, and the Oxford Orphanage. 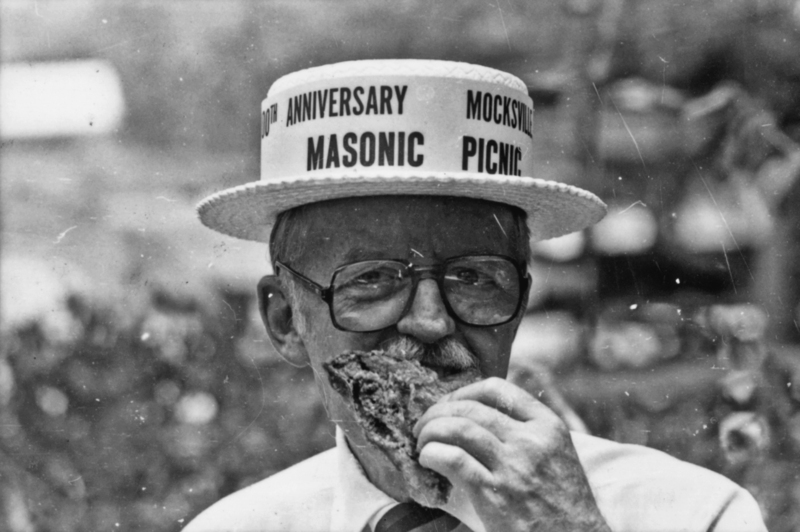 Some photographs from Digital Davie relating to Masonic picnics depict prominent politicians from North Carolina, such as Governors Charles Aycock and Clyde Hoey and Senators Sam Ervin and Jesse Helms. Items in Digital Davie are shared by the Davie County Public Library. 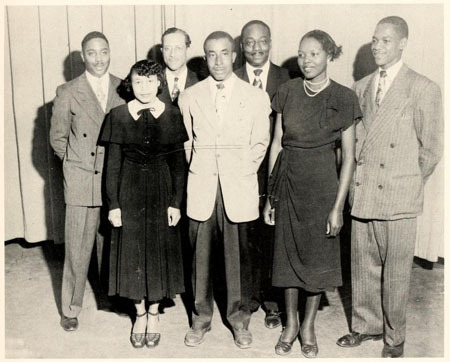 Senior Class Officers, Carver College, 1951. Several student yearbooks from Carver Junior College are now available on DigitalNC. Carver College was an African American junior college in Charlotte in the 1950s. The school offered college preparatory and vocational training as well as an accelerated high school. In the early 1960s Carver (briefly known as Mecklenburg College) combined with the Industrial Education Center to form Central Piedmont Community College. The Carver College yearbooks and a collection of historic records from the school are held by the J. Murrey Atkins Library Special Collections at the University of North Carolina at Charlotte.